Artwork details: gouache, 12.5 x 23.5 inches (32 x 60 cm), 2002. 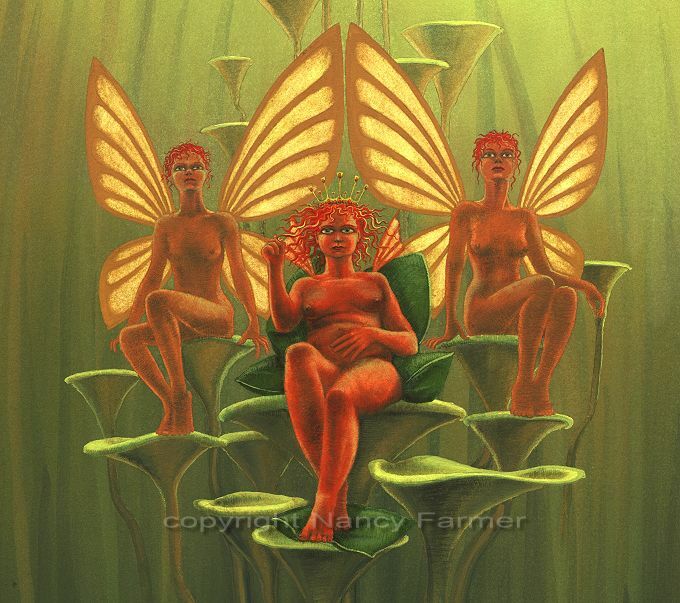 The Red Fairy Queen's handmaids are rather fierce-looking, and I'm not entirely sure that they aren't in some way in charge of the Queen and not the other way around... 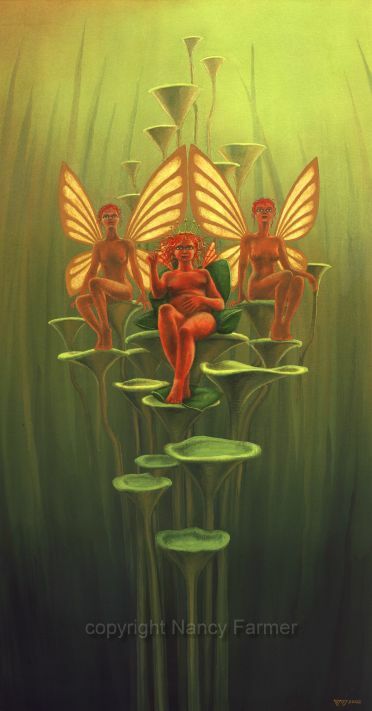 This painting came from the idea of bees, and Queen Bees, and that the Queen Bee, though apparently in charge of the whole hive, actually has no choice in the matter - she has to be the queen, and make lots of other bee eggs - there is nothing else she is good for. Likewise I'm not at all sure that the Red Fairy Queen can even fly, and do normal fairy things (whatever they might be...).